New if you need a laugh, Check out our New Club Funny Cycling Page above. 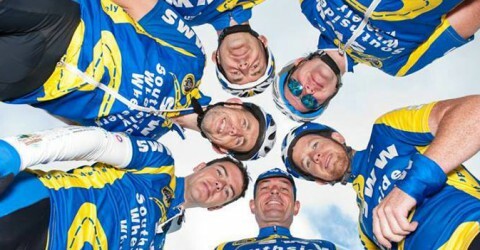 Go On, Have A Laugh……..
Sunday 11th September Bruff Fun Tour 80km. Sunday 28th August. What a wheely marvelous weekend of cycling for Southside Wheely Wheelers Cycling club. Our cycling club members cycled in the Sean Kelly Tour of Waterford and it was a tremendous achievement for our new cycling club. It was a first for our cycling club to cycle in this massive cycling challenge with over six thousand cyclists who pushed themselves to the limit and achieve the cycling goal of a lifetime, arguably one of Ireland’s toughest cycling challenges. There was a cycling distance for all levels of ability for our cycling club. The Sean Kelly Cruise 50km starting in Dungarvan to Cappoquin, Villierstown and back to Dungarvan. The Kelly Coast 90km from Dungarvan to Tramore back the coast road by Annestown, Bonmahon, Stradbally, Dungarvan. The Kelly Comeragh Challenge 160km Dungarvan, Carrick-on-Sure over the four massive climbs, Siskin Hill, Powers the Pot, Mahon Falls and the Mama climb. This is one of the toughest cycling tours and cycling up Mahon Falls you could be forgiven for doing something else on a Sunday but the sense of achievement is exhilarating on reaching the summit, it makes all the suffering worthwhile and a great story for your friends on a cold winters evening. Congratulations and a wheely well done to Janette Murphy, Gerard Finn, Jerry Herbert, Sean Burchill, Stephen Finn, Adrian Gammell, Brendan Houlihan, Owen Tobin, Shane O’Brien, Michael Gammell, Tadhg Murphy, Ber Gammell, Paul Gammell, Michelle Gammell, Willie McCarthy, Jerry Ryan, Stephen O’Meara, Tom Quinn, Elizabeth Leonard, Mary McCarthy, Jonathan Moloney, David Walsh, Paul O Connell, John Carey, Willie Houlihan. We would like to thank our cyclists for waiting and cheering on our cyclists at the finish. Wednesday 24th August 6.30pm at car park next to Kilmallock Cycles. We had a massive turnout for our weekly Wednesday evening cycle. One big group cycled from Kilmallock to Ardpatrick to Kilfinnane, Garryspillane, Knocklong, Elton and back to Kilmallock. A leisurely pace was set and all cyclists enjoyed cycling in a beautiful sunny evening. Out cycling were Leslie Radcliff, Ber Gammell, Michelle Gammell, Aileen O’ Leary, Noreen Ryan, Paul Gammell, Sean Burchill, David Walsh, Mike Sexton, Adrian Gammell, Liam Duggan, Michael Gammell, Noel Gammell, Brendan Houlihan, Jonathan Moloney, Jerry Ryan, Jerry Herbert, Denis Keating, Owen Tobin, Stephen O’Meara, Willie Houlihan, John Carey, Donal Kelly, Pat O’Donnell, Stephen Finn. Saturday 27th August 9.30am cyclists met for a leisurely Super Saturday morning cycle at a controlled pace. Out enjoying cycling were Sean Burchill, Jerry Ryan, Aileen O’ Leary, Noreen Ryan, Well done.